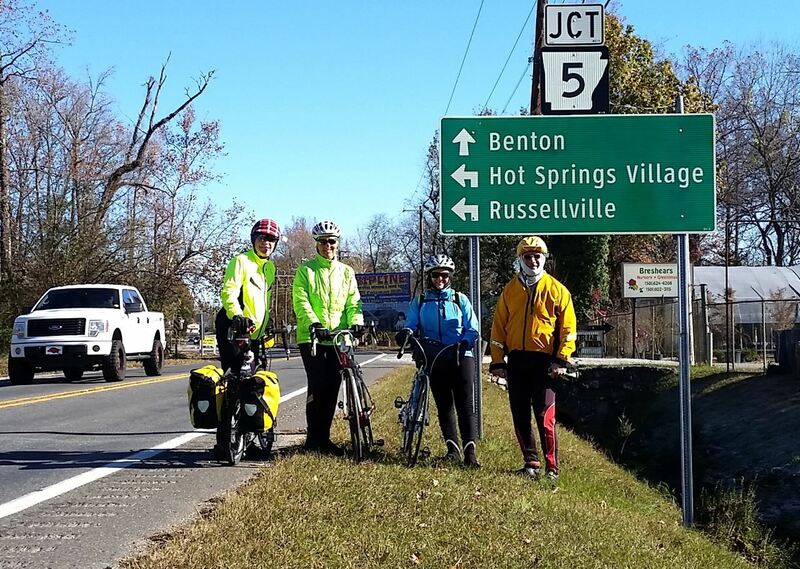 The ride will leave from Ferndale and go to Hot Springs to stay at the Arlington Hotel at the Spa Run rate, 501-623-7771 (about $90 + tx for a single, as for the Spa Run or senior rate.) Some of the riders enter the Spa Run on Saturday. We return on Sunday. I suggest signing up for the free dinner Saturday night if you are doing the run and also register for the run/walk as team "Arkansas Bicycle Club."